She's 'set to be the youngest-ever self-made billionaire' thanks to her Kylie Cosmetics empire, according to Forbes. And Kylie Jenner wants her five-month-old daughter Stormi to inherit the business one day, 'if she's into it'. 'Maybe one day [I'll] pass this on to Stormi,' said the 20-year-old in an interview with the publication. The reality TV star wants to keep running her business -which Forbes has valued at $900million- 'forever'. But 'momager' Kris -who collects ten percent on the earnings of all her children- might have different ideas about the direction of her youngest daughter's beauty empire. 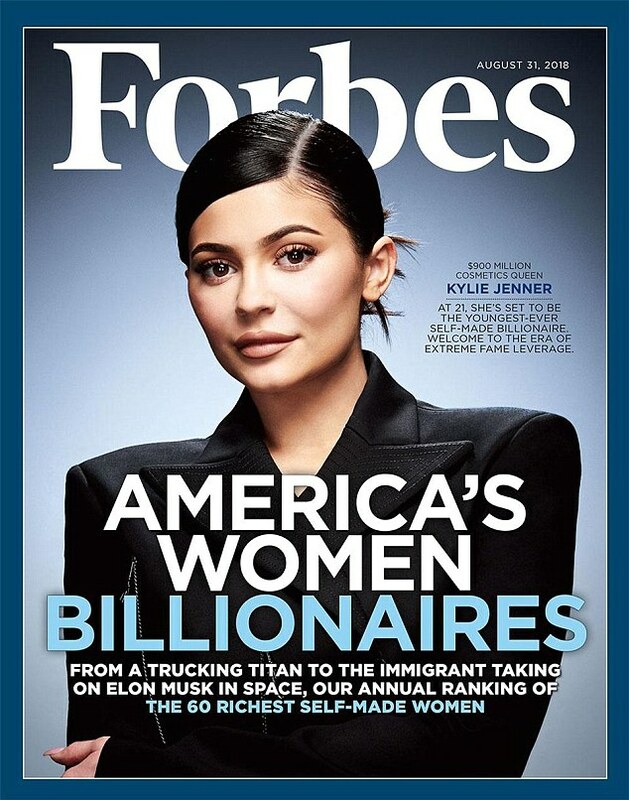 Many people are taking issue with Forbes' definition of 'self-made', after it placed Kylie Jenner on its latest cover. Kylie is set to turn 21 on August 10. The Internet immediately lit up with reaction, with even Dictionary.com appearing to throw shade. On Wednesday it tweeted the definition: 'Self-made means having succeeded in life unaided. 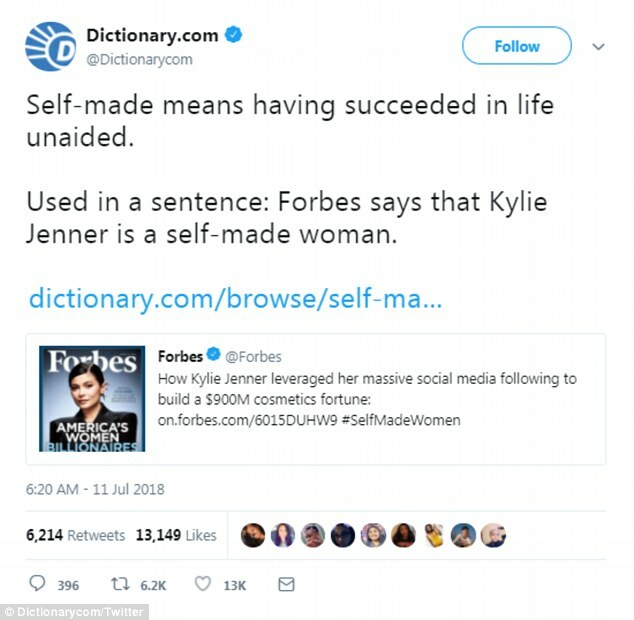 'Used in a sentence: Forbes says that Kylie Jenner is a self-made woman,' it added, posting a link to the Forbes article. 'For the love of God, I seriously want to break something when I see the very epitome of privilege described as "self-made". 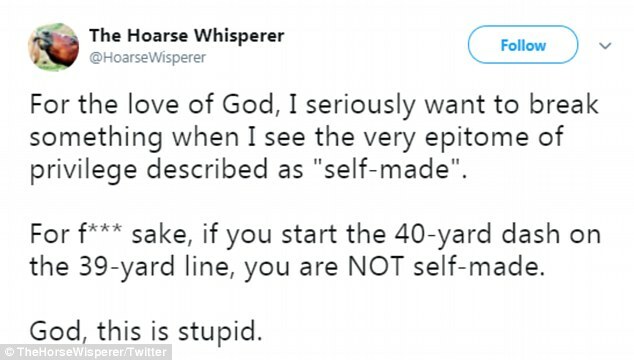 For f*** sake, if you start the 40-yard dash on the 39-yard line, you are NOT self-made,' a second posted. '“Self-made”? Really? It’s easy to become a billionaire when you’re parents are millionaires...It’s called generational wealth + nepotism. 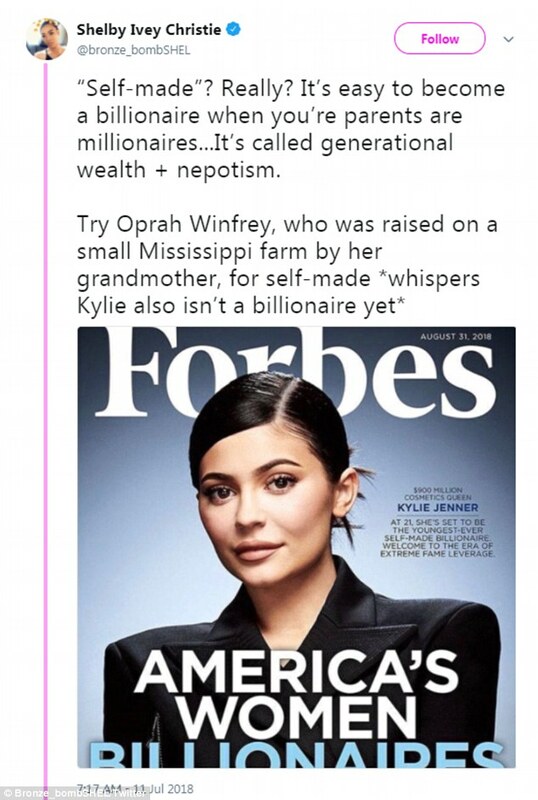 Try Oprah Winfrey, who was raised on a small Mississippi farm by her grandmother, for self-made *whispers Kylie also isn’t a billionaire yet*' a third tweeted. A fourth asked: 'Does Forbes know what Self Made means? Self-made or not, once she crosses the $1billion mark, she will unseat Facebook's Mark Zuckerberg as the youngest-ever self-made billionaire. The daughter of Kris Jenner, 62, gave her low-cut gowns a rest to pose for the cover, opting instead for business chic in a dark blazer with her long locks pulled back. WHAT ARE THE OTHER KARDASHIAN-JENNERS WORTH ? 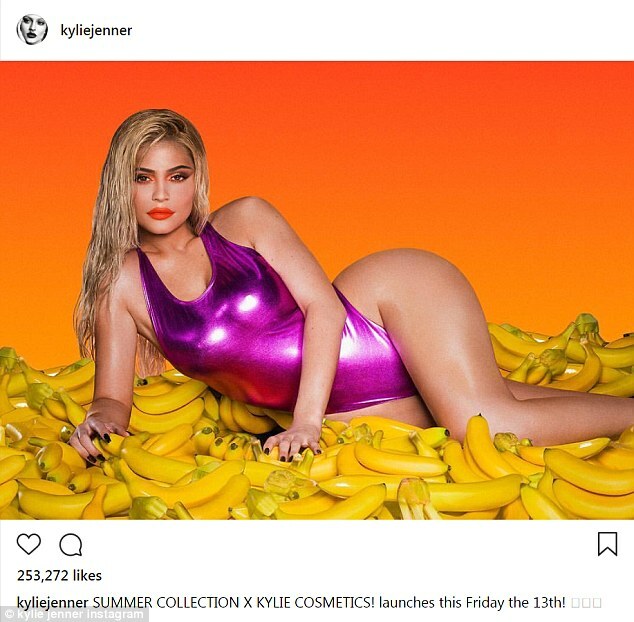 In the story accompanying the cover, Forbes said they estimate that Kylie Cosmetics has raked in $630million since it launched in 2015. 'Even using a conservative multiple, and applying our standard 20% discount, Forbes values her company, which has since added other cosmetics like eye shadow and concealer, at nearly $800 million. Jenner owns 100% of it. 'Add to that the millions she's earned from TV programs and endorsing products like Puma shoes and PacSun clothing, and $60 million in estimated after-tax dividends she's taken from her company, and she's conservatively worth $900 million, which along with her age makes her the youngest person on the fourth annual ranking of America's Richest Self-Made Women,' the article reads. According to the article, Kylie employs just seven full-time and five part-time employees at her company, outsourcing production and sales. As with all of her kids, Kris handles her daughter's finance's and public relations for a 10 per cent fee. Last year, that meant Kylie paid her mom $17million. Kylie talked about launching the business in a beauty video for Vogue in June. In the video, she says she had been thinking of starting her own cosmetics company for awhile. She says her mother was cautious about the ordeal, saying she would have to put up her own money to fund the venture. 'I had Kylie Lip Kit trademarked like two years before it even launched and I was like bugging my mom about it. I see it, like, I need to do this. 'She was like "Okay, put up your own money, like stop talking about the Lip Kit." And then I didn't even order a lot and I was like "Okay, if this doesn't work out you're gonna have, like, a lot of Lip Kits in your garage,"' she recalled. Kylie decided to take the risk, and it paid off immediately. 'I didn't even make it to my launch party. I like refreshed the page and in two seconds everything was gone and like I just remember me and all my glam people, my friends, we were like screaming. 'And then the Kylie Instagram used to be Kylie Lip Kit and then the day after I changed it to Kylie Cosmetics and I was like "This is like gonna be something, like, I can actually do, yeah,' Kylie said. Finding a business she could run was a big moment for the youngest Kardashian-Jenner. Having watched her mother help start a modelling career for her sister Kendall, a sock business for her brother Rob, and an online game for her sister Kim, Kylie says she felt adrift. 'I struggled for a minute with finding something to do on my own,' she told Forbes. But she quickly found inspiration in her life long obsession with make-up. She honed her make-up skills through YouTube videos, and when she felt self-conscious about her thin lips, she used lip liner to overdraw her lips and make them look larger. She also got fillers, but initially denied getting plastic surgery, which caused a bit of scandal around the time that she launched her company. Earlier this week she revealed she had taken her lip fillers out. The $29 Kylie Lip Kits debuted in November 2015 and sold out within seconds. 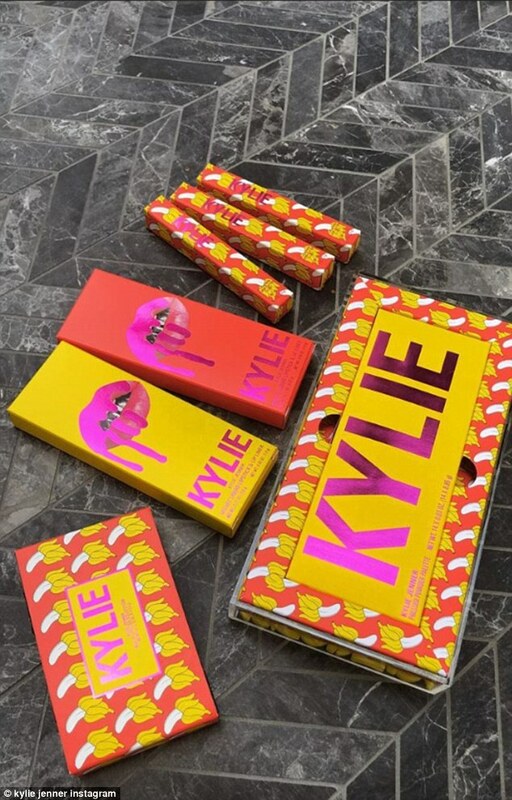 The Kylie Lip Kits went on to start a general trend in the industry for liquid matte lipsticks, with both drug- and department-store brands quickly going to market with similar products. The timing of the article is perfect for Kylie as she is launching her summer collection on Friday. 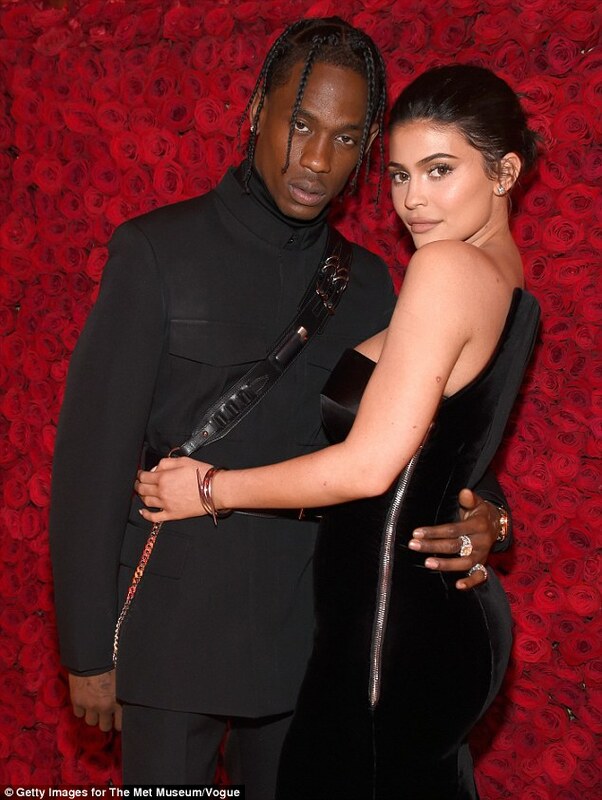 Jenner is also a new mother: she welcomed daughter Stormi with rapper Travis Scott in February.